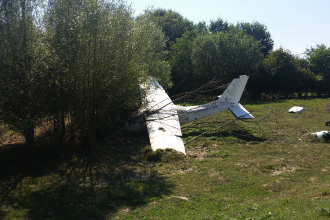 As the number of small plane accidents continues to increase, it’s important to highlight that one of the factors playing a roll in these accidents includes the overloading of these planes. Adherence to weight and balance limits of an aircraft is a critical factor to flight safety, according to the FAA. Just a few months ago the National Transportation Safety Board investigators were investigating and trying to determine whether the small plane that went down in a fiery crash on April 10, 2018, in Arizona was overloaded and not equipped to carry six people. All six people aboard the Piper PA-24 Comanche died when the plane went down around 8:45 p.m. on the TPC Scottsdale Champions Golf Course shortly after takeoff from Scottsdale Airport. How Does Excessive Weight Affect Small Airplane Performance? Excessive weight reduces flight performance of an airplane in almost every respect, Feldman Shepherd aviation attorney G. Scott Vezina, a pilot for 30 years said. An overloaded small plane may not be able to leave the ground, or if it does become airborne, it may exhibit unexpected and unusually poor performance characteristics. The force of gravity continually attempts to pull an airplane down toward earth, while the force of lift is the only force that counteracts weight and sustains the airplane in flight, Vezina said. Consequently, any item aboard the plane that increases the total weight is undesirable from a performance standpoint, Vezina said. How Can a Pilot Avoid Excessive Weight? The pilot must be knowledgeable in the effect of weight on the performance on the particular airplane being flown, Vezina said. Preflight planning should include a check of performance charts to determine if the airplane’s weight may contribute to hazardous operations. In order to fly safely, it is imperative that pilots of small aircraft ascertain the weights of all passengers and cargo via a scale or by asking passengers for their current weight and stay within the parameters of the airplane’s published weight and balance limits, Vezina said. The Jan. 3, 2006, crash of a Cessna 172RG aircraft, which collided with terrain shortly after departing the El Plumerillo Airport in Mendoza, Argentina, while en route to Santiago, Chile. Prior to the fatal flight, the aircraft had been involved in a massive thunderstorm that caused such great structural damage that the pilot lost control for several thousand feet while in flight. Two days later, when the pilot attempted to fly home, stress fractures on the wing struts and stabilizing bars from the storm caused the plane to disintegrate in mid-air, killing the pilot and three passengers. The July 2, 2004, crash of a Westwind 1124 air ambulance departing from Tocumen International Airport in Panama City, Panama. The aircraft, which had stopped in Tocumen for fuel but was destined for Milan, Italy, crashed after the electronic trim and vertical stabilizer failed to lock, causing the plane to become uncontrollable and lose altitude after rotation. Four flight crew members and two passengers died onboard, and an airport worker was fatally injured on the ground. The Aug. 25, 2001, crash of a Piper Chieftain in the Bahamas in which recording artist Aaliyah Haughton and eight other people onboard died. The Jan. 18, 2000, crash of a Beech C-90 that struck the guy wire from a radio communications tower and crashed three miles from the runway at Somerset airport in Kentucky. Three passengers and the pilot were killed in the crash, in which the pilot did not know that a Simplified Directional Facility (SDF) approach had been out of service since 1995 and inoperable.